Thick and glossy hair is the dream of every woman. Dust, pollution and extreme heat can lead to split ends, hair fall and ultimate hair damage. 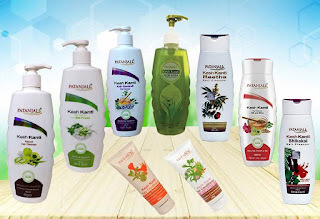 Ayurveda, the ancient Indian science, is the resolution of most of the hair related issues. Known as Indian gooseberry, this fruit is an Ayurvedic potent for hair. Amla provides Vitamin C to hair, which prevents premature greying of hair. The essential fatty acids in the fruit offers hair with strength and lustre. The iron and carotene content in Amlaki stimulates hair growth. Also called Indian Tinospora offers is an adaptogenic herb. It offers mental peace and relieves anxiety when massaged on hair. It is also called as gotu kola. This power-packed herb nourishes hair and scalp. This is an important nutrient to stop hair loss. 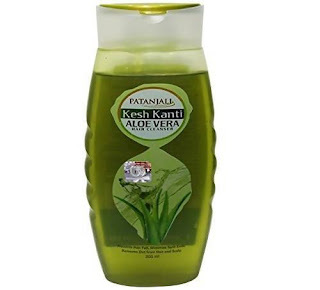 A Brahmi- based hair oil strengthens hair follicles. This plant juice contains proteolytic enzymes. These repair damaged dead cells of hair skin. Aloe vera functions as a hair conditioner. Besides providing soft and smooth hair, this herbal extract also prevents itching and dandruff. This plant extract is considered as,’the ruler of the hair.’ It has been used for thousands of years to rejuvenate hair. It keeps the head cool and fights against stress. 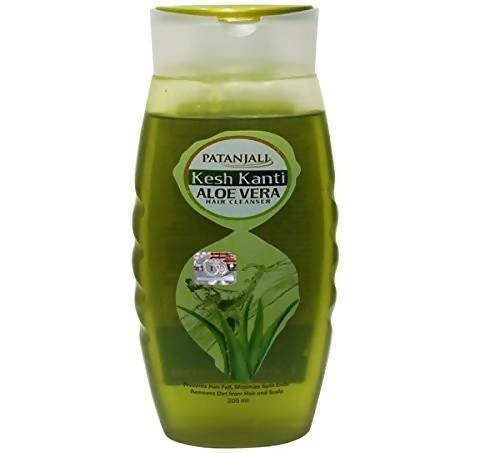 This herbal component can prevent premature greying of hair. It boosts blood circulation in the scalp. This is an amazing hair care ingredient. Shikakai is an Ayurvedic herb which makes hair softer and moisturises the scalp. The Patanjali Kesh Kanti Shikakai contains Vitamin C and D. Some Ayurvedic hair products which contain the above herbs and plant extracts. This is a must have hair product. 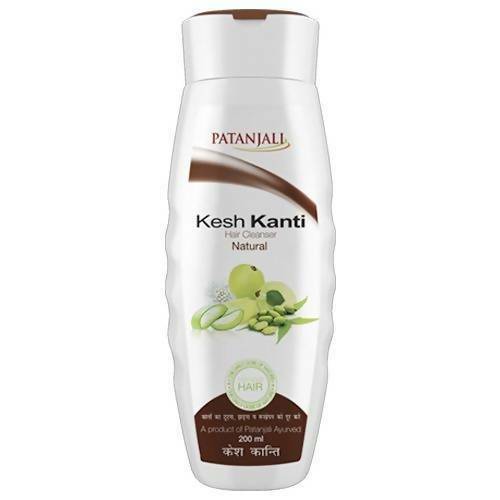 Ayurvedic hair oils like Patanjali Kesh Kanti and Patanjali Kesh Kanti Amla hair oil massages the scalp and helps moisturise the hair and the scalp. • Massage hair with warm oil. • Use pads of the finger tips to slowly massage through the hair. • For dry hair, hair oil should be used twice a week. • Let the oil seep in the hair for at lest 1 hour; for best results leave on overnight. These are chemical free shampoo. 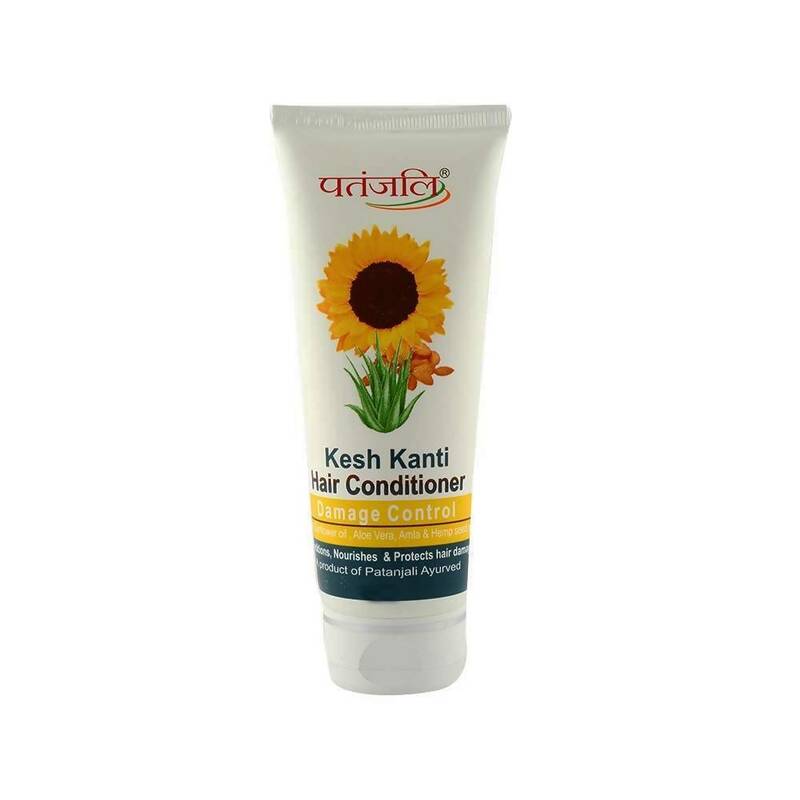 Made with herbal ingredients, hair cleansers like Patanjali Kesh Kanti Aloevera, Patanjali kesh kanti reetha follow Ayurvedic principles. These treat the dryness and dandruff in hair. 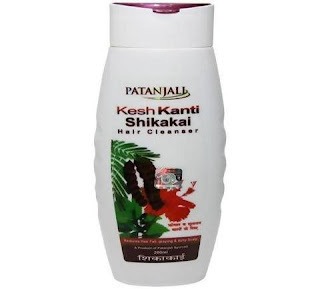 Ayurvedic hair cleansers reduce hair loss and fights infections. • Use twice a week. • Take some amount on palm. • Apply on scalp, massage and let there be some lather formation. • Massage and rinse off the cleanser thoroughly from hair. The herbal hair conditioners are damage fighters. Ayurvedic hair conditioners like Patanjali Kesh Kanti Damage Control prevents hair breakage and split ends. It detangles the hair and reduces frizziness. It is easy and simple to keep hair shiny and healthy for years. 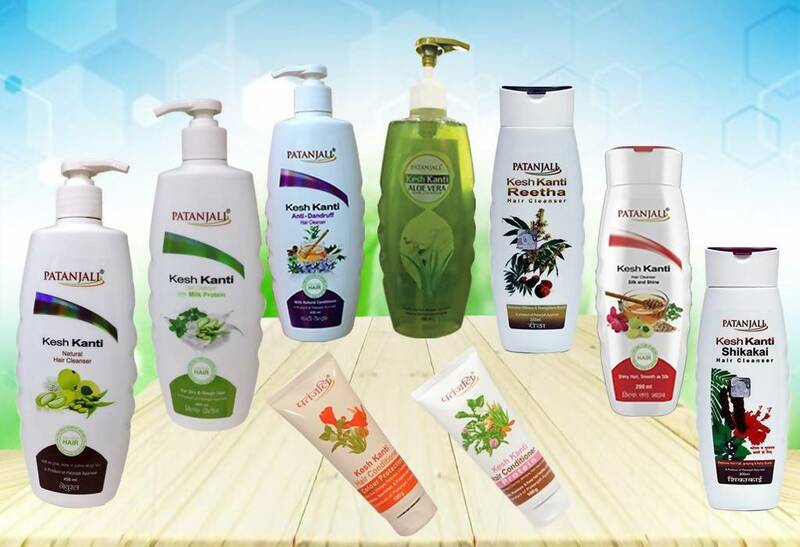 Ayurvedic hair care products also enables a calm mind and balanced nervous system. It can even strengthen the mediation practice.